One little action, repeated a thousand times, becomes an extravaganza! 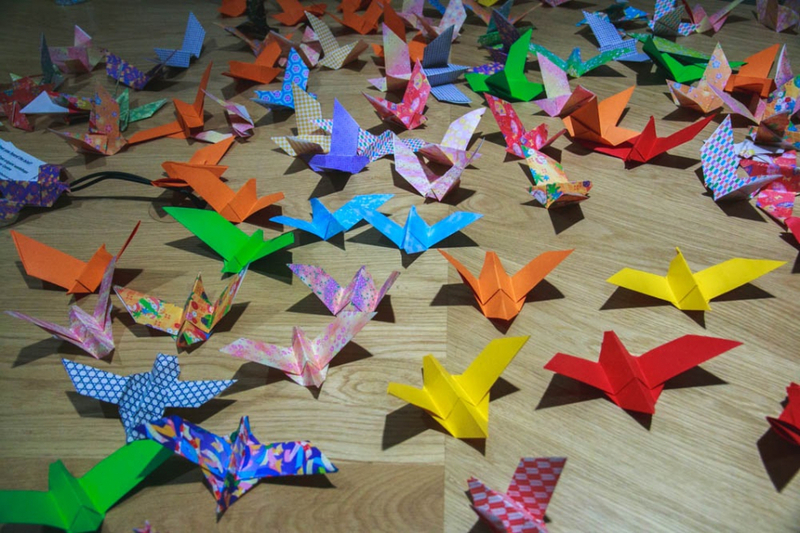 We spent a week making origami poetry pigeons with the patients, staff and visitors to Guy's Cancer Centre in London Bridge. During our visit, we made more than 2,000 pigeons, each one carrying a message. They perched on tables, nested in plants, and were festooned around the furniture and stairwells. These photos are by Alana Francis, and we are currently working on a book together to remember this extraordinary week.